Today it marks the five-year haunting home destruction of 1776 Borei Keily’s families which were adversely affected by the Phanimex Company and were evicted from their homes by policemen and military police on 03rd January 2012. 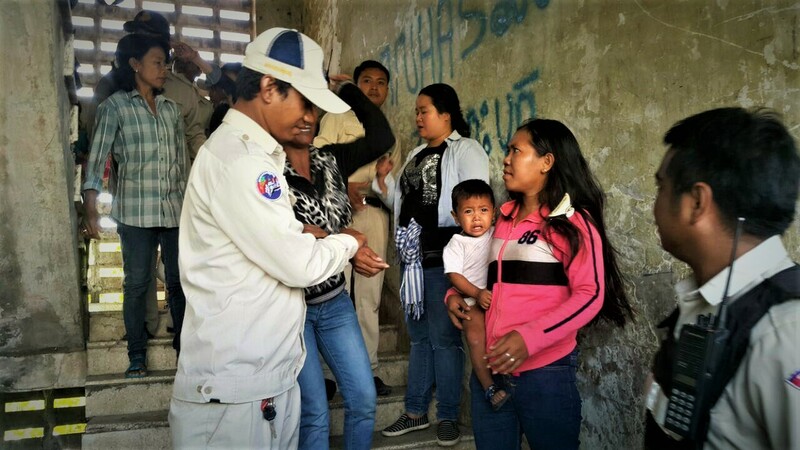 To seek compensation, a group of Borei Keila, Phnom Bat (former Borei Keila’s people), former Boeng Kak and other affected community families are gathering to demand 10000$ for each family’s compensation, according to an interview of a resident by Sahmakum Teang Tnaut’s media officer. Otherwise, they will move to live at Borei Keila’s old building again. 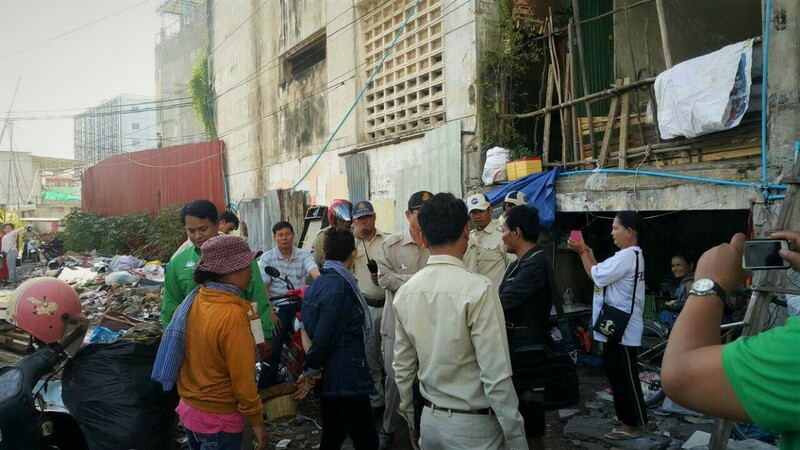 However, an attempt to live on the Borei Keila building was disrupted by the police force who stopped the people from moving up to the old Borei Keila’s building. 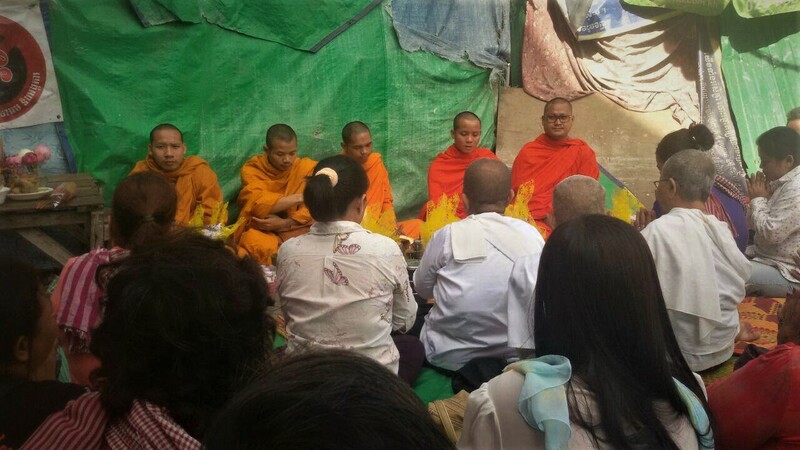 More than compensation sought, the communities also invite monks to pray at Borei Keila.